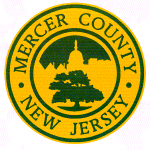 As New Jersey’s capital county, Mercer County is a center for commerce and culture in the Garden State. Located midway between New York City and Philadelphia in New Jersey’s center, Mercer County’s 13 municipalities are home to more than 366,000 people in 226 square miles in the heart of region with 10% of the US population all within a 75-mile radius. The transportation infrastructure in Mercer County is also excellent. Key corridors along the New Jersey Turnpike in Mercer County are considered the most lucrative commerce centers in the state. In addition, Interstates 95, 195 and 295, as well as state highways routes 1, 29, 31 and 130 make Mercer County more attractive. Mercer County also offers access to commuter rail services, a light rail system and the Trenton-Mercer Airport. With a highly skilled and educated labor pool we’re also home to Princeton University, Rider University, The College of New Jersey, Thomas Edison State College and Mercer County Community College. The county holds some of the states greatest cultural and historic sites with Revolutionary War battle sites in Trenton and Princeton. Recreation and entertainment are abundant with first-class parks, four public golf courses, the Trenton Titans professional hockey team and the New York Yankees AA-affiliate, Trenton Thunder at Waterfront Park. Sun National Bank Center is ranked among the best performing venues of its size in the world. Mercer County’s excellent schools, tourist destinations, and diverse, well educated workforce make our county a great place to live, work and play.